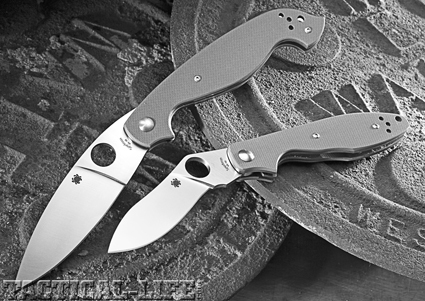 With roots from Nepali warriors and Filipino martial arts, Spyderco’s Kukri and Barong folding knives are fit to fight. Since I started training in edged-weapon tactics about nine years ago, most of my training has been focused on practical skills that I can apply in real self-defense situations. As such, most of the tools that I use in my training, like my daily carry knives, have been practical folding knives and small fixed blades. The more I learned, however, the more fascinated I became with some of the iconic traditional weapons associated with the combat arts, like the Filipino barong and Nepalese kukri. To broaden my training and explore the roots of my skill set, I’ve occasionally explored these weapons and the traditional tactics associated with them. 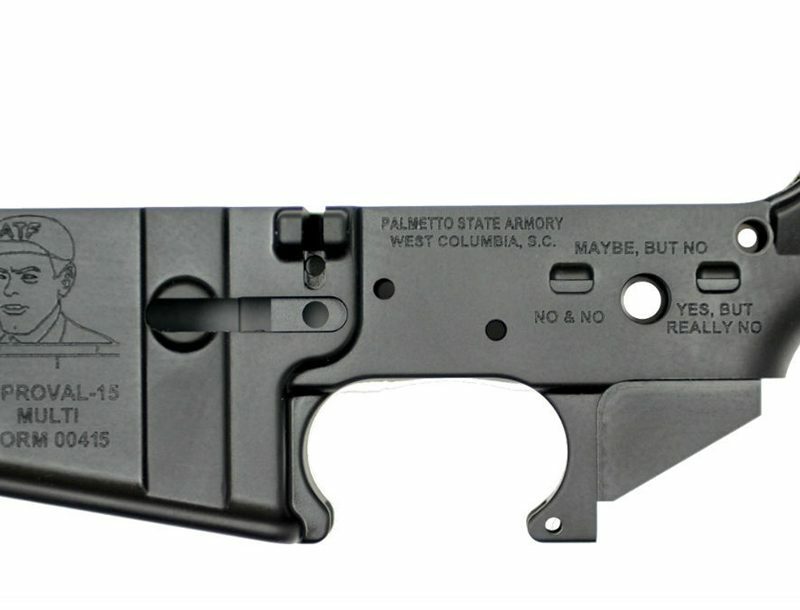 Although I always came away impressed, I realized that these classic weapons were not suitable for modern self-defense—at least in their traditional forms. Well, thanks to two other icons, bladesmith and custom knifemaker Ed Schempp and Spyderco, Inc. of Golden, Colorado, now I can literally have the best of both worlds with Spyderco’s folding Barong and Kukri. 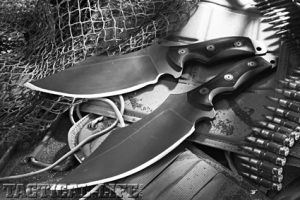 Kris design, all of which pushed the limits of folding knife manufacture and were very well received by the buying public. Based of the samples I tested, his Barong and Kukri are destined to be just as popular. The kukri is one of the most recognizable designs in the knife world. The traditional knife of the fearsome Gurka warriors of Nepal, it features a unique blade shape somewhat reminiscent of a boomerang that is sharpened on the concave side. This shape and the blade-heavy balance of the knife give it tremendous chopping power. It cuts with authority along the entire length of its edge, but its true “sweet spot” is near the apex of the concave edge where the momentum of the blade and the edge’s desire to draw the material being cut into the deepest part of the curve combine. Through my study of the Filipino martial arts, I have developed a great liking for the traditional barong. As such, I was a bit concerned that a small folding version of such a legendary blade might be more gimmick than function. Boy, was I wrong. The Schempp/Spyderco Barong is a bit larger than the Kukri, measuring 8-7/8 inches overall and featuring a 3-15/16-inch blade. Once again, there is a significant ricasso that reduces the sharpened area of the blade to 3-1/8 inches. The materials and overall construction of the Barong are identical to those of the Kukri: VG-10 stainless steel blade, stainless steel liners, foliage green G-10 handles, liner-lock mechanism, reversible tip-up pocket clip, and painstaking attention to fit and finish. However, the feel of the barong is noticeably different.